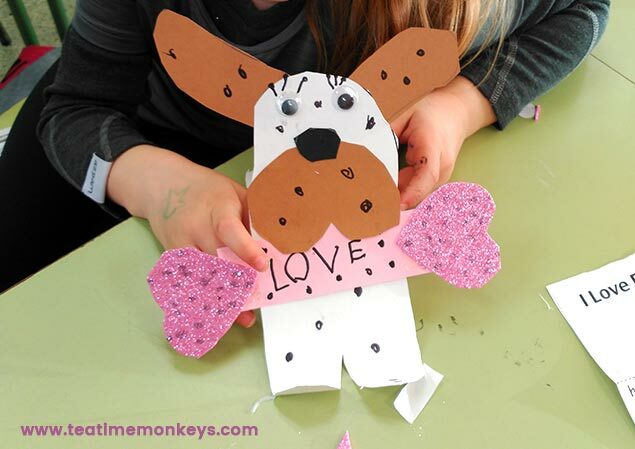 Here's an easy Valentine craft that's perfect for kindergarteners! 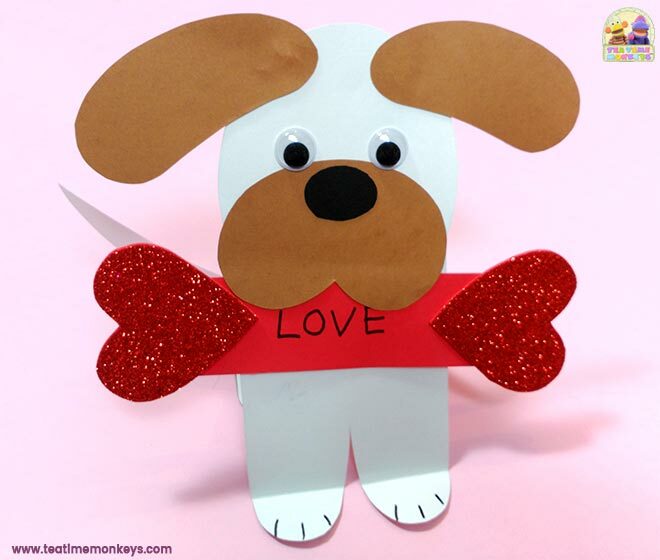 Little ones will love making this cute puppy holding a heart bone with a special message. 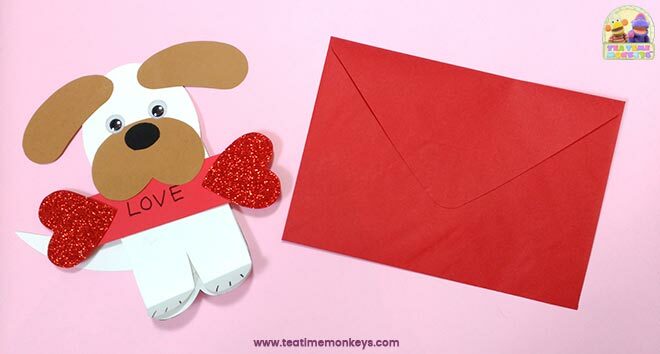 They can take it home just as it is, or pop it in an envelope and give it as a card to their loved ones! You can download a FREE template for the puppy at the end of the post. 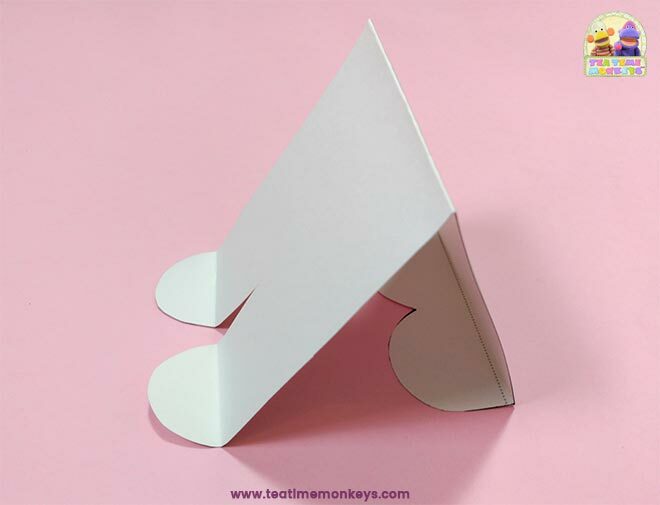 If you are making this craft with one or two children you can print out the template pages marked "Individual", cut out the pieces and trace them onto coloured card. 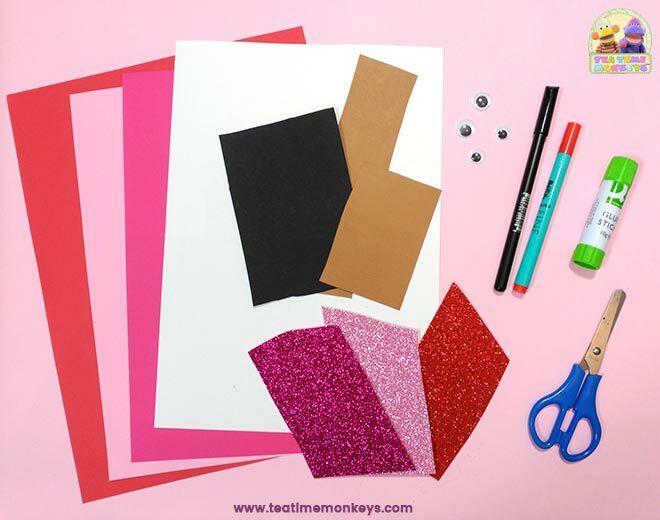 However, I've also included template pages designed for groups, so you can print out the different parts directly onto coloured card to save time. 1. Print the template pieces and cut them out. 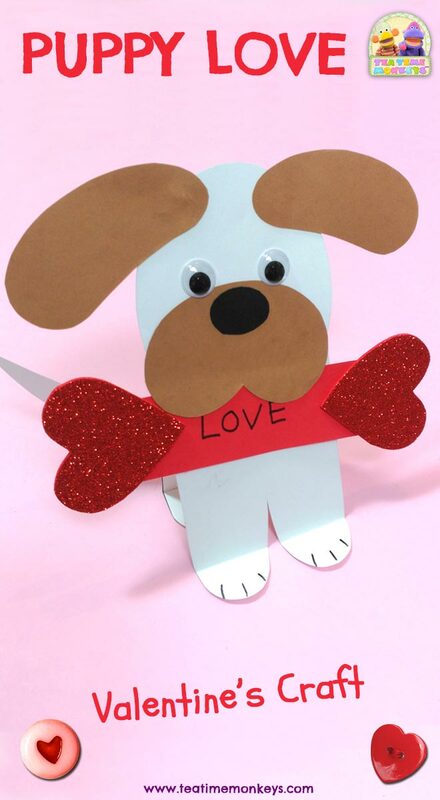 I used white card for the body, head and tail, brown card for the ears and snout, red card for the bone base and glittery red craft foam for the hearts. 2. Apply glue to the snout where indicated in the photo. Make sure kids don't apply glue all over, otherwise the puppy won't be able to hold the bone in its mouth! 3. Stick the snout, ears, and eyes to the head. 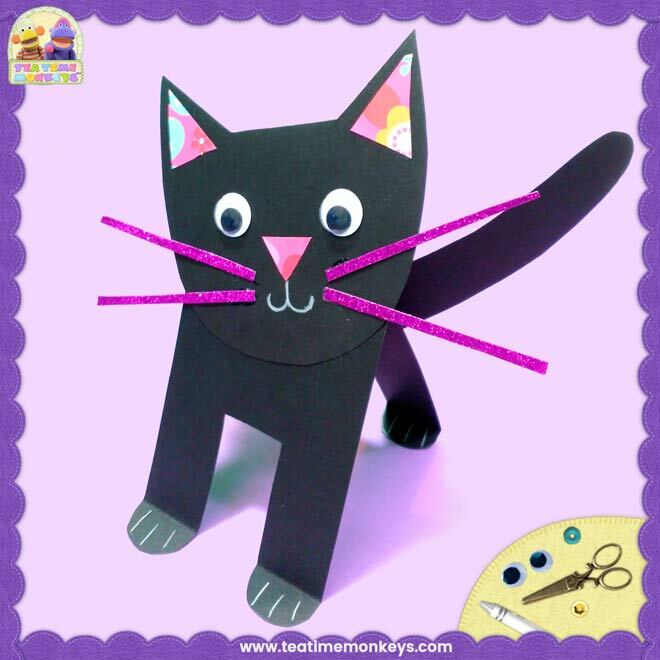 Cut a small oval shape from black card for the nose and stick onto the snout. 4. Fold the body along the middle dotted line. Then fold the front and back feet forwards on the dotted lines. Children may need some help doing this. 5. Stick the head to the body. Make a fold at the base of the tail and stick it to the back of the puppy as shown. Draw some lines on the paws. 6. 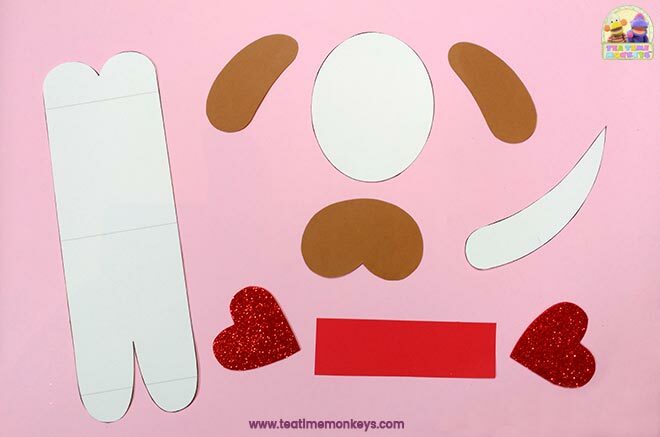 The puppy is done - now it's time to make the heart bone! Glue a heart to either end of the bone base. 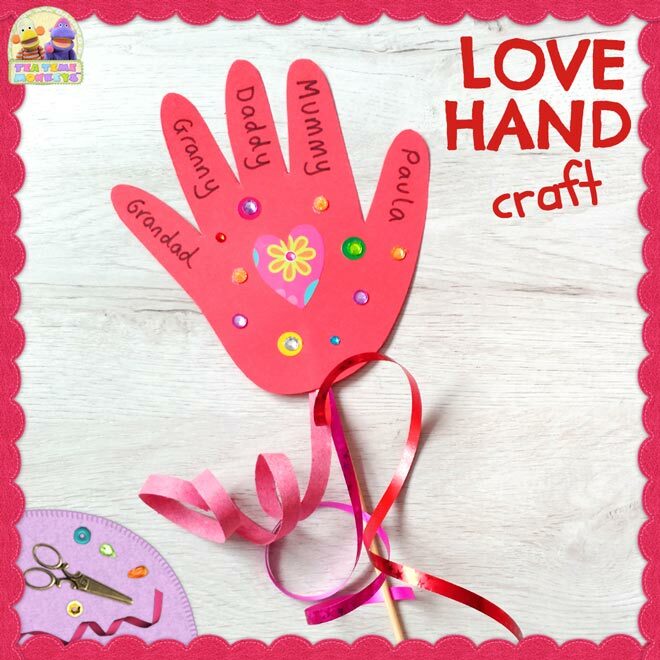 Children can write a short message on the bone, such as "Love" or "I love you", or just write their name, or the name of a loved one. 7. Tuck the bone into the snout. The puppy is ready to deliver its message! 8. 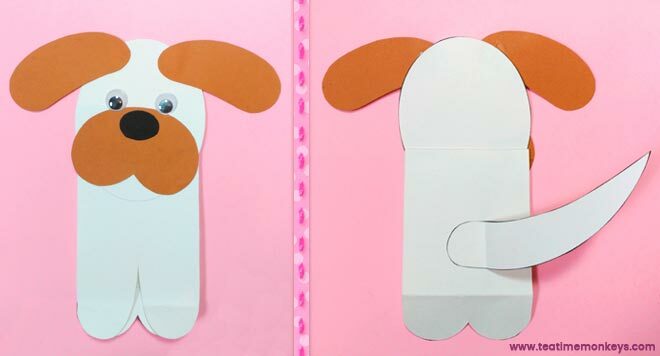 If you want to turn this into a Valentine's card, children can write a message inside the puppy and pop it into an envelope.